​The Philippines' leading budget airline, Cebu Pacific, and its wholly owned subsidiary Cebgo, generated a net income of P7.7 billion from January to June 2016, a substantial increase from the P5 billion earned in the same period last year. The Cebu Pacific Air group's 1H 2016 revenues surged to P33 billion, a growth of 12% year-on-year. Passenger revenues climbed by 11% to P25 billion, after CEB carried over 10 million passengers for the first half of 2016. Cargo revenues also went up by 6% to P2 billion. Likewise, ancillary revenues soared by 20% to P6 billion consequent to the 9% growth in passenger traffic and 10% increase in average ancillary revenue per passenger. Improved online bookings, together with a wider range of ancillary revenue products and services, contributed to the increase. "Our strong operating and financial performance attest to the ever growing number of air travelers and communities we serve, via approximately 2,400 weekly flights out of CEB's six strategic hubs nationwide. We are optimistic that with the support of relevant government and airport authorities, we can continue contributing to the progression of air transport services in the country," says Atty. JR Mantaring, CEB Vice President for Corporate Affairs. CEB recently announced three new domestic routes out of Cebu, to cater to the increasing inter-island travel demand in the Visayas region. Beginning November 19, 2016, the airline will be operating daily flights between Cebu and Ormoc (Leyte) and Cebu and Roxas (Capiz); and four times weekly flights between Cebu and Calbayog (Samar). The airline will also be operating direct, daily flights between Kalibo and Incheon, South Korea, effective October 1, 2016. Cebu Pacific has ordered Rolls-Royce Trent 700 engines, with TotalCare® long-term engine services, to power its two new Airbus A330 aircraft. CEB already operates six of the aircraft, all powered by the Trent 700. The Trent 700 delivers the best fuel burn, emissions and noise performance, resulting in market leadership on the aircraft. The engine has won more than 70% of new orders over the last four years and accounts for a similar percentage on future A330 deliveries. More than 1,600 Trent 700s are now in service or on firm order. Lance Gokongwei, President and Chief Executive Officer of Cebu Pacific said, "We have great experience of the Trent 700 in service and we look forward to its continuous delivery of outstanding economics and performance for our operations." 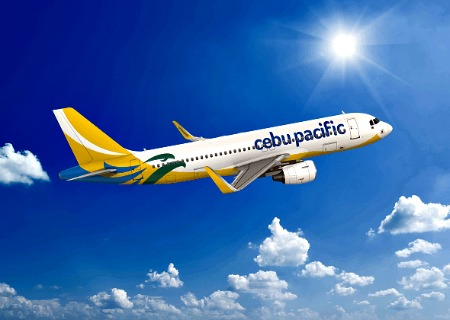 Ewen McDonald, Rolls-Royce, Senior Vice President, Customers – Civil Aerospace said, "We are honoured that Cebu Pacific has once again selected us to power this important element of the Cebu Pacific fleet." Recently, the airline has placed a firm order with Airbus for two A330-300s. The aircraft will join CEB's existing fleet of six A330s flying on long haul and selected regional and domestic routes. CEB currently operates 57-strong fleet comprised of seven Airbus A319, 36 Airbus A320, six Airbus A330, and eight ATR 72-500 aircraft. Between 2016 and 2021, CEB expects delivery of 32 Airbus A321neo, two Airbus A330, and 16 ATR 72-600 aircraft. Its extensive network spans Asia, Australia, the Middle East, and USA.